Build, deploy, and optimize chatbots quickly and efficiently with Watson Assistant. Get started with 10,000 free API calls a month. Chatbots use natural language recognition capabilities to discern the intent of what a user is saying, in order to respond to inquiries and requests. The problem is, most chatbots try to mimic human interactions, which can frustrate users when a misunderstanding arises. Watson Assistant is more. Watson Assistant will determine whether to provide a direct answer or reference search results from a document or database. Watson Assistant can live in an isolated cloud environment or on-premises, allowing you to build and scale. Industry-leading AI powers the underlying natural language models and provides training recommendations as you build. 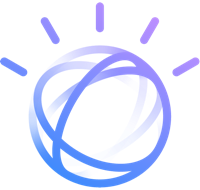 Watson Assistant is the industry leading conversational AI technology powering chatbots. Learn how Watson Assistant interacts and understands your questions in this banking demo. Use this pattern to learn how to add features like a shopping cart, context store, and custom inventory search to your chatbot. This app calls out to simple banking services code as an example of how to include external business data in a conversation response. In this chatbot tutorial, create an artificial intelligence (AI)-powered, conversation based chatbot within Slack. Learn how to build an Android-native, mobile customer service app that understands spoken requests and provides a response. Watson Assistant comes packaged with Customer Care, Banking, Insurance, Telco, Utilities, and eCommerce content. For additional content, Watson Assistant integrates with outside domain knowledge artifacts. And of course, our chatbot API integrates with other Watson APIs. Take a short tutorial of our bot technology, IBM Watson Assistant. You'll create intents and entities and learn how to structure your conversational flow. Step-by-step tutorial on how to create a chatbot of yourself with Watson. With Watson Assistant, integrating with other channels (Facebook, Slack, and Intercom) has never been easier. Learn about the Watson Assistant plugin, which allows you to add your chatbot to your site. Watch an overview of the Watson Assistant tooling to get started. Join the Watson Developer Slack Community for answers to your questions.